Add Schizandra to your Favourite Herbs list. Our Schizandra is powdered from pure Dried Schizandra chinensis Berry without fillers, preservatives or additives and is freshly encapsulated for you at order or packaged as loose powder: the choice is yours. Have you smelled freshly ground Schizandra Berries? There's nothing quite like it for me. Schizandra is one of my personal favourites. 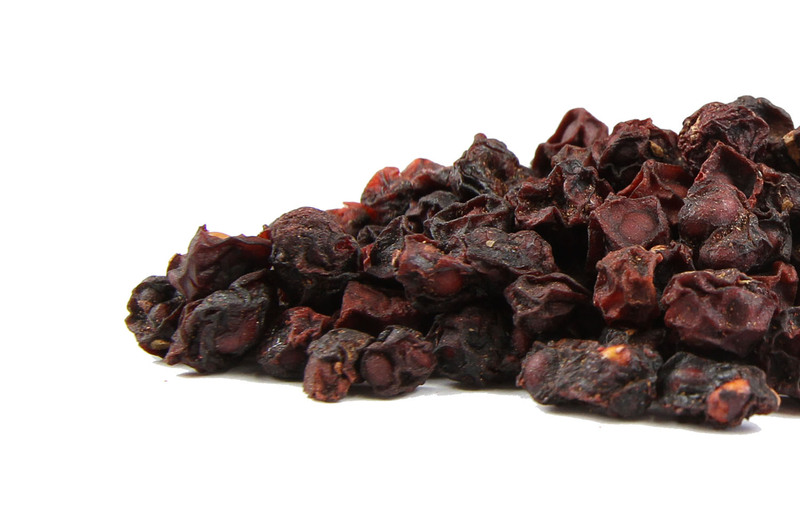 Schizandra is traditionally considered by Herbalists to be warm and moist and/or drying and has been a popular herb in Asia for culinary and health use. I can't live without this herb! Makes me feel calm, happy and healthy. More energetic and well balanced. Good for skin too. Great service from Herbosophy and always excellent quality. I have eschewed alternative medicine for over 50 years. I tried this on the recommendation of an enlightened medical practitioner. Within a week I felt significantly better in many aspects and it has definitely improved my well being. I purchased Schizandra to help me sleep. BOY! It sure works. I have deep, uninterrupted sleep. I even dream, which I have rarely done in the past. I have found the Schizandra to be excellent. I have tried all types of sleeping tablets and I have to say that this one is the best so far. I take only 1 capsule within 15 minutes of wanting to drift off. And it works perfectly. I had noticed schizandra chinensis in two of the herbal medications so I researched it and discovered that it has a number of recognized benefits : liver tonic , blood purifier , stimulant even libido enhancer. I have made tea from the capsules (emptied out 2) it's bitter and tart but palatable with honey . Overall a great general tonic. I use this product regularly and it works very well for immune support. I was introduced to schizandra by a naturopath and have bought the capsules for both myself and family members. However, I would prefer to purchase this herb in tincture form as this enhances the herb's efficacy and liquids are better assimilated by the body for healing. I loved this product, but when I went back on line to order it, it was no longer available, there was some other product instead. Very sad to see this.